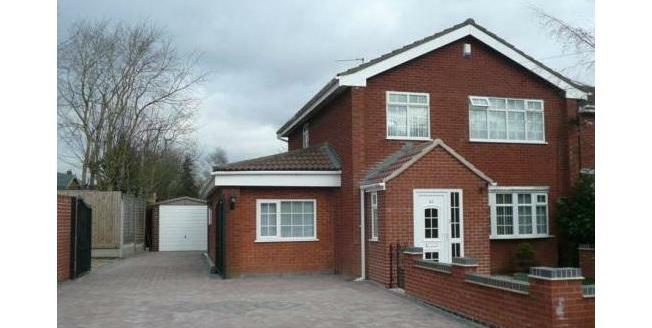 Dixons offer for sale this imposing three/four bedroom detached family residence. The property has been extended to provide spacious living accommodation throughout. The property comprises to the ground floor an entrance porch, entrance hallway, large through lounge/diner, conservatory, family kitchen/breakfast, utility room, down stairs W/C, Study/play room which could be used as a fourth bedroom depending on choice. The first floor provides three spacious bedrooms and a re-fitted bathroom. Outside you have a fully paved front garden providing off road parking, private rear garden, detached garage and access to garage through shared access. You also have the benefit of gas central heating and upvc double glazing. The property also offers potential for further expansion (subject to planning permission) and simply must be viewed to appreciate its full potential.